Iowa is a national wind energy leader, solar has been gaining momentum in recent years, and both have significant potential for continued growth in the state. However, to facilitate growth and reap the many environmental, economic and community benefits of clean energy, Iowa must create policies and practices that encourage a transition to clean energy. This includes improving access and removing barriers – two priorities for the Council. 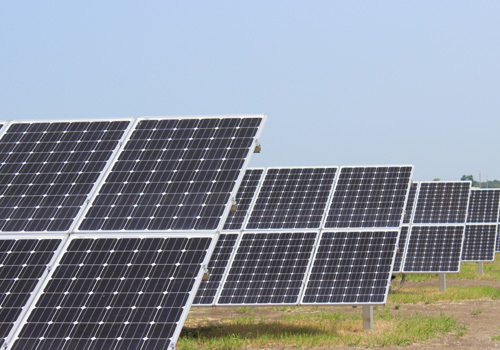 In the past year, Alliant Energy has informed some customers that they would not allow net metering, for third-party purchase agreements, a practical and popular financing option for solar energy projects. Last week, following objections from customers and clean energy advocates including the Council who believed this decision violated the Iowa Supreme Court’s ruling last summer, Alliant informed these customers that is has decided to reverse this decision. The Council joined coalition partners including the Environmental Law & Policy Center (ELPC), Iowa Solar Energy Trade Association (ISETA), Iowa Interfaith Power & Light (Iowa IPL), Solar Energy Industries Association (SEIA) and Winneshiek Energy District submitted comments to the Iowa Utilities Board opposing Alliant’s original refusal to net-meter third party purchase agreements earlier this summer. While this move helped avert a substantial hurdle for many solar energy projects, it’s not the only barrier the Council and its allies have been battling this summer. In June, Pella Cooperative Electric announced it will charge customers with solar panels or other sources of self-generated energy a “facilities fee” of $85 per month – more than three times the $27.50 “facilities fee” for other customers. Pella Cooperative Electric cites a “cost-of-service study” conducted earlier this year that concluded these customers were not paying their share of the fixed costs of maintaining the grid. This study has been difficult to obtain for review and is unlikely to properly value all of the benefits provided by solar. Pella’s current $27.50 monthly fee is already high compared to what other utilities in Iowa typically charge, and the $85 fee is extreme. Utilities around the U.S. have been proposing these high fixed charges as one way to stop customers from moving to solar. Clean energy advocates, including the Council, ELPC, ISETA, Iowa ILP, SEIA, Vote Solar, Bryce Engbers and Mike Lubberden, submitted comments to the Iowa Utilities Board asserting that the decision violates an Iowa Code prohibiting discrimination against a customer based on the customer’s choice to use renewable energy. Today, the Iowa Wind Energy Association released The Economic Impact of Iowa’s Wind Potential to Meet Carbon Reduction Goals, a report showing an increase in the demand for wind energy – spurred by the Clean Power Plan – will translate to expanded job creation and economic development in Iowa. Depending on the amount of wind installed in Iowa over the next 15 years, Iowa could create an average of 483 to 6,424 wind-related jobs each year, and as many as 10,992 jobs during the peak year of wind turbine installment. The report, authored by Dave Swenson, an associate scientist in the Department of Economics at Iowa State University, lays out an economic impact analysis of four wind energy scenarios for using wind energy to comply with the Environmental Protection Agency’s Clean Power Plan, released earlier this week. By establishing state-specific carbon pollution reduction goals based on each state’s energy portfolio, the Clean Power Plan will cut 32% of carbon pollution from U.S. power plants by 2030 (from 2005 levels). The final Clean Power Plan calls for Iowa to reduce its carbon pollution rate to 1,283 lbs/MWh by 2030, a slight increase from the originally proposed 1,301 lbs/MWh. At the end of 2014, wind energy accounted for 28.5 % of Iowa’s electrical generation – the highest of any state. 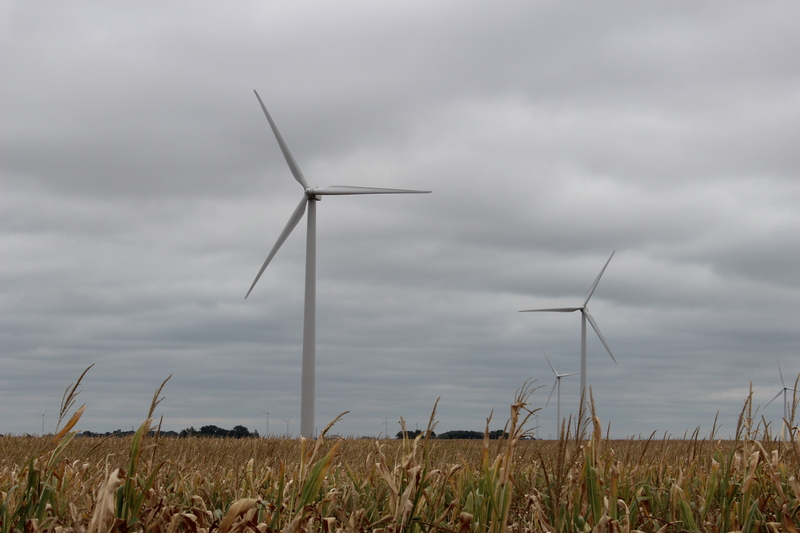 Scenarios in the report evaluate wind installation levels starting at 2,320 MW and ending at 15,000 MW – all well within Iowa’s wind capacity; recent studies show 20,000 MW could be developed by 2030. Labor income totals could reach up to $114 million in the first year, and have the potential to grow to $594 million by 2030. Value added to the economy could hit $2.1 billion by 2030, bringing the final total output to as much as $3.56 billion in the final year. “The Clean Power Plan will improve our economy, protect and support our communities, safeguard our working lands and strengthen our energy independence – Iowa really is in an ideal position,” Lane said. The full report is available for download on the IWEA website. President Barack Obama greets attendees, including Iowa Environmental Council Energy Program Director Nathaniel Baer (pictured), in the Blue Room before he delivers remarks on the Clean Power Plan in the East Room of the White House, Aug. 3, 2015. Today, the U.S. Environmental Protection Agency (EPA) announced the finalization of the Clean Power Plan, a landmark standard that sets the first-ever federal limits on carbon pollution from power plants. By establishing state-specific carbon pollution reduction goals based on each state’s energy portfolio, the Clean Power Plan will cut 32% of carbon pollution from U.S. power plants by 2030 (from 2005 levels), and improve Iowa’s economy, protect our communities, safeguard our working lands and strengthen our energy independence. The final Clean Power Plan calls for Iowa to reduce its carbon pollution rate to 1,283 lbs/MWh by 2030, a slight increase from the originally proposed 1,301 lbs/MWh. Both goals are based on reductions from 2012 carbon pollution levels. However, the baseline or starting point for those calculations has changed. Therefore, while the final Clean Power Plan calls for Iowa to cut carbon pollution from its power plants by 41%, this cannot be directly compared to the originally proposed 16% reduction. As a national wind energy leader, Iowa is well-equipped to meet this modest goal, and could have achieved a significantly stronger goal. The final Clean Power Plan presents significant opportunities for Iowa’s wind sector to help reduce emissions in other states. As a national leader in wind energy generation and manufacturing, Iowa is already on track to achieve and surpass its carbon reduction. Wind energy accounts for 28.5 % of Iowa’s electrical generation – the highest of any state. Recent studies show that Iowa’s wind energy potential is over 570,000 MW and 20,000 MW of this could be developed by 2030. “Though the Council would have liked to see a stronger goal, we look forward to working with the state’s leaders over the next year to shape a strong implementation plan that maximizes Iowa’s potential for renewable energy growth and energy efficiency savings,” said Climate and Energy Policy Specialist Cindy Lane. By increasing the regional and national demand for clean energy, the Clean Power Plan will expand opportunities for wind as well as solar energy development, strengthening Iowa’s economy and job market. In addition to improving Iowa’s economy, the Clean Power Plan benefits the state’s communities, cultural heritage and environment. By cutting carbon pollution and encouraging a transition to clean energy, the Clean Power Plan will make Iowa a safer, healthier and more attractive place to live and work. Here at the Iowa Environmental Council, we rely on the partnerships we form and the relationships we build. As a coalition-based organization, we firmly believe that when we work together, we will achieve greater success, and our member organizations and individual members are essential. This is the third installment of our new series: meet our member organizations. Each entry, we will introduce you to one of our member organizations and share some information about how they are helping create a safe, healthy environment and a sustainable future for Iowa. This time, we would like to introduce you to Windward Iowa. Windward Iowa is a non-profit organization dedicated to promoting wind energy and infrastructure projects in Iowa and across the Midwest. They achieve this by providing education about the benefits of wind energy, and promoting growth in wind energy usage. Iowa ended 2014 with over 5,700 MW of installed wind energy that accounts for 28.5% of the state’s electrical generation – more than any other state, and hundreds of jobs have been created. Wind energy is clean and effective, and turbine blades can be turned in as little as five miles per hour wind. Lang wants to see the use of wind energy increase in future generations. Windward Iowa joined the Council as a member organization last year. Iowa’s wind energy leadership has created significant economic, community and environmental benefits for the state, but there is huge potential for additional wind energy. Thanks in part to continued advocacy for wind energy growth, utility companies are taking notice and investing in clean energy. In May, we welcomed announcements from Alliant Energy to add 200 MW of wind and by MidAmerican Energy to build 552 MW of wind. When MidAmerican filed its official proposal – Wind X – with the Iowa Utilities Board, we joined with the Environmental Law and Policy Center (ELPC) to intervene and file testimony in support of the proposal. Iowa ended 2014 with over 5,700 MW of installed wind energy that accounts for 28.5% of the state’s electrical generation, the highest of any state. Iowa’s wind energy potential is over 570,000 MW, and recent national studies indicate that 20,000 MW could be developed by 2030, and 37,000 to 46,000 MW by 2050. Wind X is an important step to reaching these goals, meeting more of our energy needs with clean energy, and reducing our reliance on coal. Despite its leadership in wind energy, coal still accounts for the largest share of MidAmerican’s electricity. Importing coal costs MidAmerican’s customers approximately $285M annually, and the state of Iowa $590M annually. Wind X will directly reduce coal use and the associated costs, as well as cut emissions of carbon and other pollutants. By doing so, Wind X will help MidAmerican – and Iowa – prepare to comply with the proposed Clean Power Plan, the first-ever standard to reduce carbon pollution – our country’s largest source of carbon pollution – from existing power plants. The Clean Power Plan establishes state-specific carbon reduction goals based on each state’s energy portfolio. Based on 2012 carbon pollution levels, Iowa’s proposed cut in carbon pollution from power plants is 16%. As a wind energy leader, Iowa is well-positioned to meet its goal. 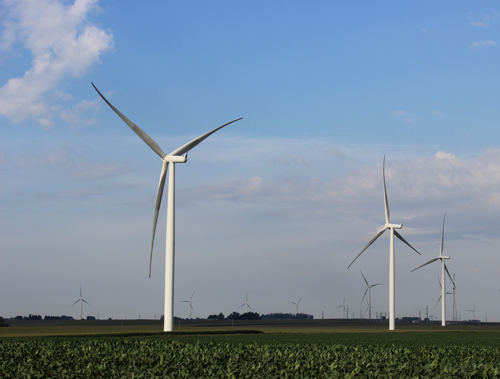 Recent wind projects have already helped reduce MidAmerican’s rate of carbon emission from 1,168 lbs/MWh to 1,030 lbs/MWh. Wind X would further reduce the rate to 940 lbs/MWh or even lower. Thanks to its wind leadership, MidAmerican is ahead of schedule and can help the state – or even other states – meet these targets. In addition to expressing our support for Wind X, our testimony encouraged MidAmerican to more thoroughly consider adding solar energy when it builds its next clean energy project. We reviewed MidAmerican data showing that its energy demand peaks occur in the summer and during the day, typically between the hours of noon and 6 pm. A typical solar array in Iowa can be expected to produce very well during such times, meaning solar can help MidAmerican meet energy needs when demand is at its highest. We will continue to advocate, shape and voice our support for Wind X and projects like it, and build a broad base of support for the Clean Power Plan and a strong implementation plan that will benefit Iowa’s economy and environment.